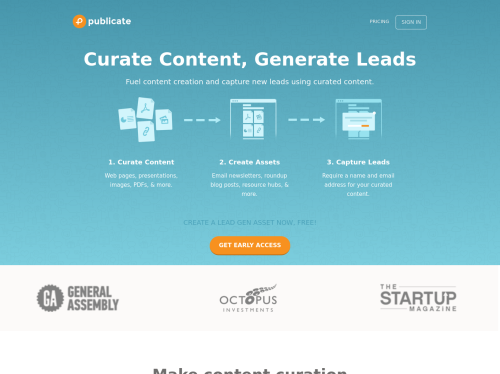 Publicate is a SaaS application that helps content marketers leverage curated content to drive new leads and real marketing results. Create curated content assets like email newsletters, roundup blog posts, resource hubs, and branded social shares in minutes - then add a lead capture form to any piece of content. It's simple: curate content, generate leads.